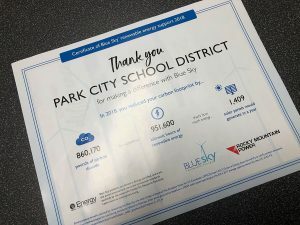 A group of students studying at the Park City Center for Advanced Professional Studies approached the Park City Board of Education Tuesday morning to propose the installment of solar panels on the district’s buildings and facilities to conserve energy and money. 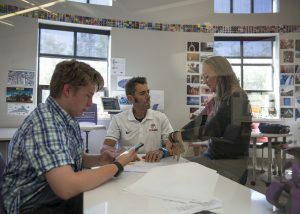 Park City High School science teacher Charlie Matthews joined the students and fellow mentors Mike Wong and Michael Dowling to explain to board members why solar panels would be beneficial for the district and help save money. Matthews, along with Dowling, sits on the Georgetown University Energy Prize Committee which is offering a $5 million, granted to the community chosen by a panel of six Georgetown professors. The applicants must show, quantitatively, a reduction in electrical and gas usage over a two-year period, which begins next February. "PCCAPS is in a very unique position, because it is an extremely unique program," he said. "You guys could be part of the spearhead of that by moving forward with this, by starting with phase one of putting in some solar panels." installing the solar panels and tracking reductions in gas and electrical usage, the district could possibly win the $5 million prize, which Matthews said they could use to install energy conservation and renewable energy measures in houses for families in need. Dowling told the board the "Solar Ed" group at PCCAPS has put in a tremendous amount of work, getting up on the roofs of different schools in the district and conducting a full-scale analysis. However, it would cost the board $5 million to install the solar panels, a number that left board members and community members in attendance concerned. 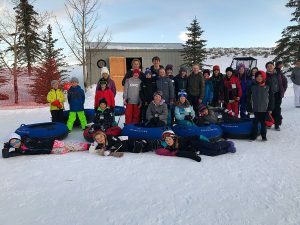 "So we are saying, in a perfect world, it will cost $5 million to install the solar panels across the entire district," said school board member Tania Knauer. Matthews acknowledged those concerns but added that taxpayers pay about $800,000 in electricity a year. With the solar panel system, he said that bill could be reduced by 40 percent, allowing that money to be used for other important programs or initiatives in the district. 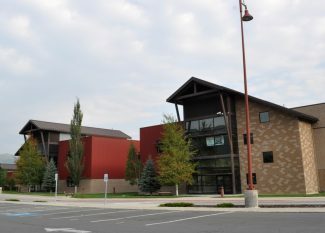 Dowling added that Park City High School alone had an electricity bill of about $246,000 in 2013. Based on the analysis the mentors and students in the "Solar Ed" group have done, he said, they could save approximately $100,000 in the first year. "We’ve done a very conservative estimate of 7 cents per kilowatt hour to 11 cents per kilowatt hour," he said. "As an example, right now, California is probably at about 13 cents per kilowatt hour. So we’ve made very conservative projections of about 2 percent annually over the next 25 years." He said the cost of solar paneling is very static, so what the district is paying for the cost of energy is essentially built into the cost of the system. It is simply a matter of financing. Matthews suggested using Qualified Energy Conservation Bonds, which were set up during President Barack Obama’s first term. 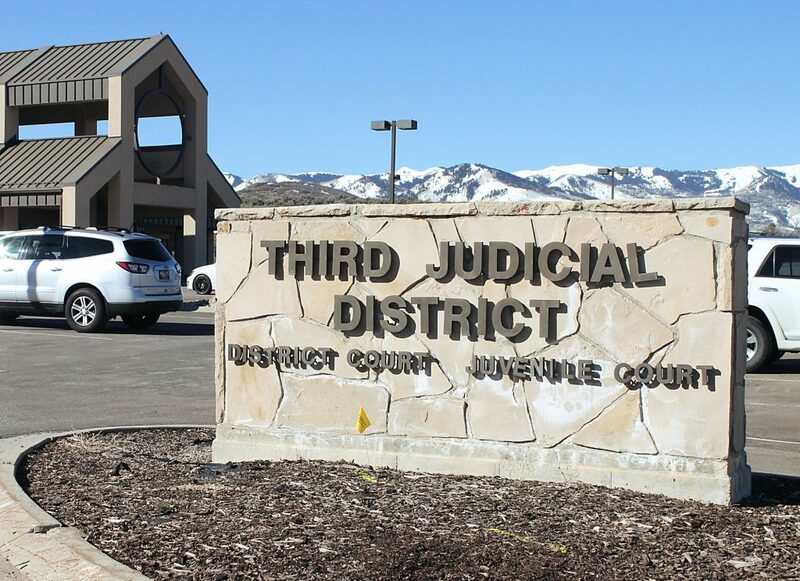 Utah received $28 million of the $32 billion dispersed nationally, he said, and $24 million of that still has not been spent. "You would go out and get a commercial bond at a commercial rate, which is just over 5 percent right now, but you would be rebated as a district for 70 percent of the interest," Matthews said. "With a change of presidents, that money there today could legislatively be pushed out, so a QECB bond is a tremendous opportunity." Superintendent Ember Conley’s concern focused on the fact that two students in the group, Nicolas Miller and Jaimie Martin, were graduating. Martin assured Conley the juniors in the group would bring students entering into the group next year up to speed. "Jaimie is being modest," Dowling said. "She is the one that came up with the idea of ‘Solar Ed Ambassadors,’ so what is in place now will keep going pretty seamlessly." Martin was passionate about the project, telling Conley she entered her senior year of high school unsure of what she wanted to do after graduation. Now, after working with PCCAPS on this project, she knows she wants to be a mechanical engineer in order to make a difference in the world in a technical way. The board did not make a decision on the project but Matthews urged them to look over the informational packets the students put together and gave to each member at the beginning of their presentation. "I do hope you take this seriously as a sort of ‘homework assignment’ to look at and read this over," he said. "We would love to meet with you in September to discuss where the project is at, where you are at as a board and where the district is at on moving forward with this project."